Nothing says endurance like age. Every time I visit my mother-in-law I’m reminded that the importance of youth isn’t who we are, or what we are, but the fact that we are. Life is a beautiful thing. Next Post Am I Weird? What a wonderful picture expressing the joy of life! Beautifully put. Wishing your mom-in-law many more years of happiness. Love this! You go girl!! This is one of my very favorite interpretations! She looks wonderful! Thank you! 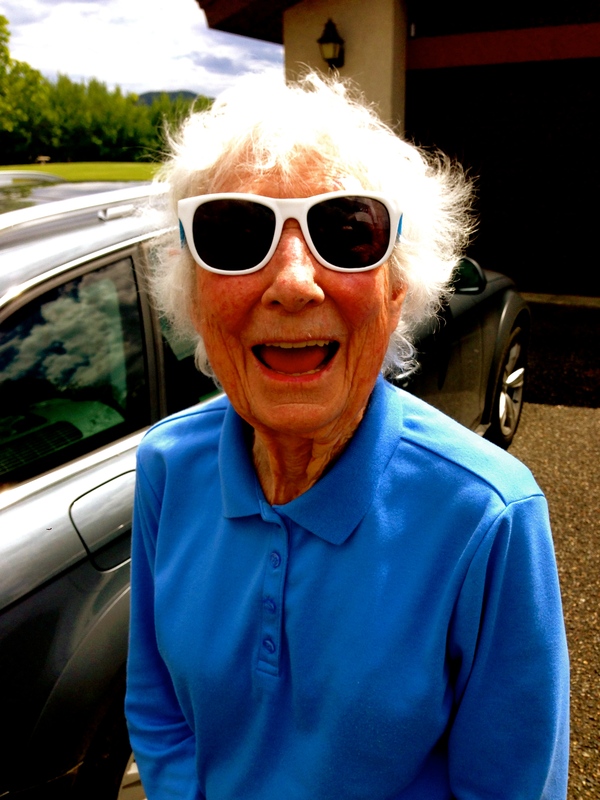 She’s 89! My husband is 45, the same age she was when he was born! Crazy! I lover her! that’s life, right there! Hi Maria! Thanks. And welcome to my blog! She looks like lots of fun! Excellent interpretation. Thank you! Yes, she is!